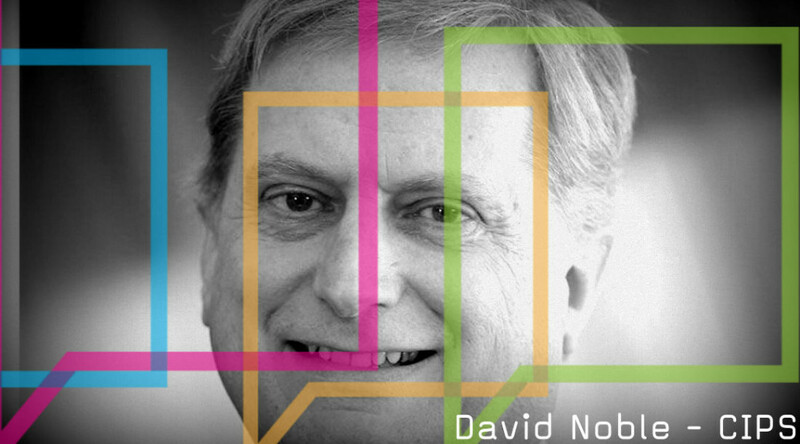 David Noble was appointed Group Chief Executive of The Chartered Institute of Procurement & Supply (CIPS for short) on 1 June 2009. 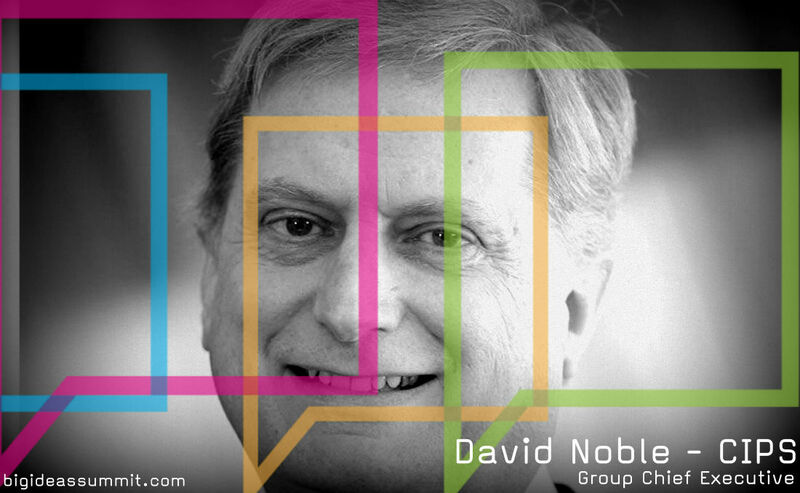 He’ll be appearing as one of our 40 thought-leaders at Procurious’ inaugural Big Ideas Summit. Procurious asks: How is the new Chartered Procurement and Supply Professional status encouraging professional development? David: CPD is critical to Chartered Status. There is a need for some roles in procurement, particularly at a senior strategic level to raise their skill levels beyond MCIPS and keep abreast of new thinking in the profession. A professional with Chartered Status will lead procurement teams and have influence at board level as well as across supply markets by delivering innovative sourcing solutions. A higher-level status than MCIPS, those with Chartered Status will be qualified up to postgraduate degree level and be able to understand institutional risk and contingency approaches in all parts of the organisation, how the supply chain affects innovation, and risk sharing strategies throughout the business. Professionals who hold this status will be the most sought-after talent and those who will take the profession beyond its current boundaries. Procurious: Is corporate social responsibility still relevant in a world of stringent budgets? David: Being commercial and sustainable go hand in hand. To have a long-term sustainable successful business, CSR, responsible procurement, and environmental issues have to be considered. Most of all it just makes good business sense to keep our energy bills to a minimum, or reduce our landfill costs. It’s a reality of modern life that we have to take into account sustainability and CSR. Not doing so is a risk in itself which could result in damaged reputation, loss of market etc. It is imperative in the public sector – there are targets to reach in local government action plans and at national level. In economic terms, it is far better for a country as a whole to adjust and adapt now to become more sustainable and take into account environmental and CSR issues than to deal with them further down the line. There are already increases in tax on landfill waste, fuel, and disposables. These taxes will become greater as time goes on, as will the fines imposed on companies for abusing the evolving laws relating to environmental and CSR issues. And then there’s consumer pressure. You only have to look at what happened to Nike when it was revealed to consumers that further down the supply chain, workers in the Far East were working in horrendous conditions. It resulted in mass marches and demonstrations outside NIKE stores in the US, resulting in a damaged reputation and a considerable loss of market share. It’s time to consider what it is your company cares about; what it’s objectives and key drivers are; and how can these be achieved and strengthened to achieve the most sustainable outcome. How can you prioritise and find an opportunity to do things differently? It’s not commercial issues versus sustainability issues; it’s the same sort of argument as commercial versus quality. Implementing sustainability itself is not an end point. Nothing is sustainable indefinitely. What should be achieved is a more sustainable option. It needs to be continuously monitored, updated, and improved. There has to be a balance, and it’s about the best balance with regards to the priorities and situation of your organisation. Anything that reduces resources, reduces waste, and increases efficiency is a win/win in terms of optimising sustainable and commercial benefits. Procurious: In this time of economic uncertainty what can organisations do in order to mitigate risk down the line? David: I firmly believe that having professionally qualified people in these roles will help to safeguard organisations against risk. Procurement professionals are required to horizon scan, and do deep dive audits into their supply chains to get under the skin of what’s really going on. More than ever, it’s important that we understand our political and economic environment and its impact on business. Recovery from the 08/09 recession has been one of the biggest challenges of the past century for business. As the Eurozone faces a potential triple-dip recession and China and Brazil’s growth is slowing, it’s clear that we are still nowhere near out of the woods. We have worked on risk tools over the past few years to better equip procurement professionals to understand their environment and manage risk. The CIPS Risk Index quarterly reports helps you to understand the risks to which your supply chains are exposed. You can use the CIPS Risk Index Quarterly Report as an early warning of changes in the macro environment that may affect suppliers and your supply chain. You can then drill down from a global, quarterly, headline figure to a regional and country level perspective, enabling you to develop robust risk management strategies and mitigate against risk. Procurious: Can you discuss the impact of supply chains in modern-day slavery? (David was invited to the Vatican to witness the signing of a bill to eradicate slavery by 2020, and the recent stories in the media surrounding the Indonesian fishermen). And looking forwards to procurement in 2030, what struggles do you hope we’ll have overcome? David: Like most professions, old parameters are changing and there is a need to adapt to survive. Procurement and supply is especially so and in our belief it has reached a significant crossroad. Two hundred years ago accountancy was strictly regulated because there was a burning platform: incorrect submissions of company accounts led to investor misery and fraud, so the government acted. Our burning platform is the supply risk side getting further out of control and people being harmed. In that sense, this profession is no different to accountancy – in fact you could argue the public good is more directly affected. Poor quality food, modern corporate slavery and procurement fraud affect many more people across the planet and the institute does not believe the issues we hear about on an almost daily basis will ever be solved until licensing is embedded. With the hard work and dedication of thousands of procurement and supply chain professionals, our perspective has now changed beyond all recognition, as global companies experience seismic shocks to their earnings and share prices when a supply malfunction occurs. We have witnessed some unprecedented events in recent years, from natural disasters such earthquakes and floods alongside numerous product recalls based on faulty component parts and therefore putting consumer safety at risk. Fraud, corruption and the mis-management of supply chains have caused untold issues and reputational damage for organisations as well as endangering human lives. Certain sectors have become synonymous with poor supply chain practice from the garment industry through to conflict minerals in our mobile phones and laptops. According to the World Bank corruption undermines our prosperity by imposing a cost equivalent to 5 per cent of global GDP (or $2.6 trillion –World Economic Forum) every year. It adds up to 25 per cent of the cost of procurement contracts in developing countries and can add up to 10 per cent to business costs globally. They estimate that over US$ 1 trillion is paid in bribes each year. Corruption also facilitates organised crime and terrorist activity. Accountability for inadequate or exposed supply chains now goes right to the top, with the company’s reputation on the line. Good corporate supply chain governance demands accountability and to have accountability means the appropriate authority and capability to act. What does all this mean in terms of removing some of the poor practices we are still witnessing across global supply chains – whether it’s child labour, inhumane working conditions, forced labour and slavery and not least the ever rising issue of procurement fraud? There is no doubt that the procurement and supply profession has a unique opportunity to step up to this challenge and effect real change – stepping up as a professional community. Procurious: And finally, is there anything you fear will hold us back? David: We’re not always very good at shouting out about our successes. Procurement has much more to offer beyond savings and a clear communication channel must be forged with the CEO. But this kind of communication between CPO and CEO is still relatively rare in business. Booz and Co in a recent report highlighted that less than 5 per cent of Fortune 500 companies have a CPO in their C-suite. In a separate report, Ardent Partners Supply Management Experts highlighted that less than 20 per cent of CPOs globally report to their CEOs. So, if you work in one of the 80 per cent of companies where procurement has no direct line of communication to the top, you need to find a way to make yourself heard. Procurement professionals need to talk the language of the business, get out more and become story tellers to demonstrate the wide reaching value they offer. Understand how your organisation defines value and growth. This goes way beyond the terminology and knowledge you need for your day-to-day job. It extends to learning what is important to customers and to the other people who work in your organisation – particularly in areas that generate the most revenue. There is a real opportunity for procurement to seize the day. For more information about CIPS head to their website. Discover who else will make up our 40 influencers at the Big Ideas Summit on 30 April. Click to join the Group on Procurious and get involved.